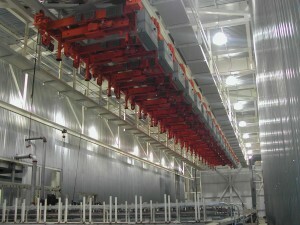 Our expertise is in designing, building and installing industrial paint finishing equipment and systems. 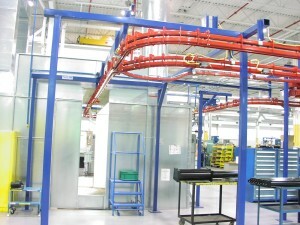 We design and install washers, ovens, paint spray booths and air make-up units for the paint/powder finishing industry. Our finishing systems provide superior quality finishes for metal furniture, automotive components and other metal and plastic parts. VentCor gives every project the highest level of service and follow-up support from start to finish-from conceptual drawings to the customers shop floor. Customers can count on VentCor’s turnkey system. VentCor’s strength is in our knowledge and willingness to respond to the markets changing needs. Your paint equipment is a significant investment. We pride ourselves in delivering solid design solutions that can withstand today’s demanding conditions. VentCor ensures that all projects are installed on budget, on time, every time at a competitive price!